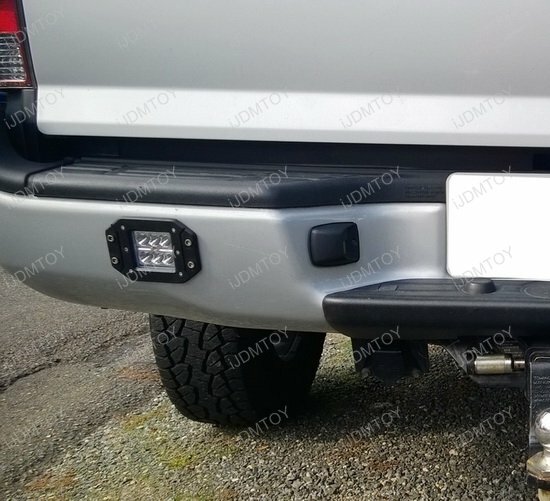 Q: How do I install these LED pod lights? 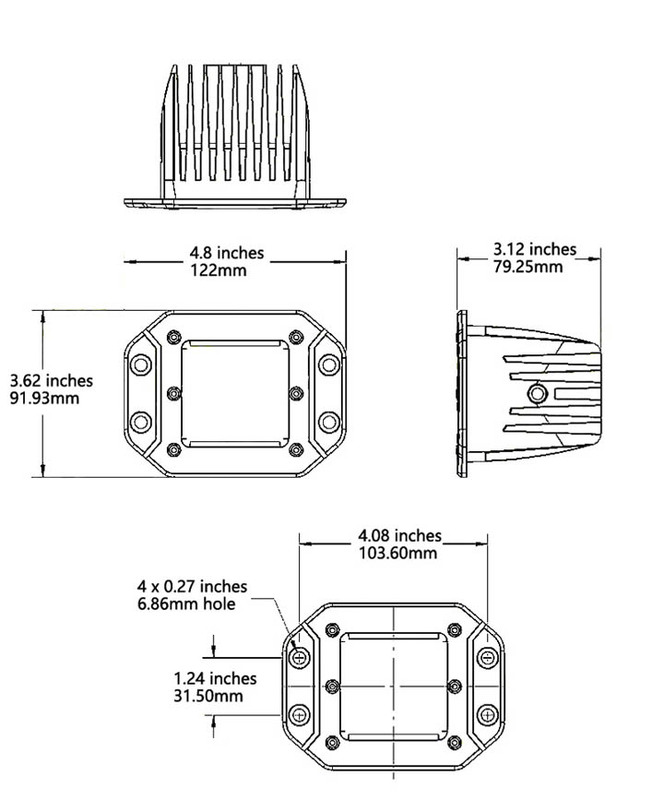 A: This is a brief guide on the LED pod lights installation procedure. 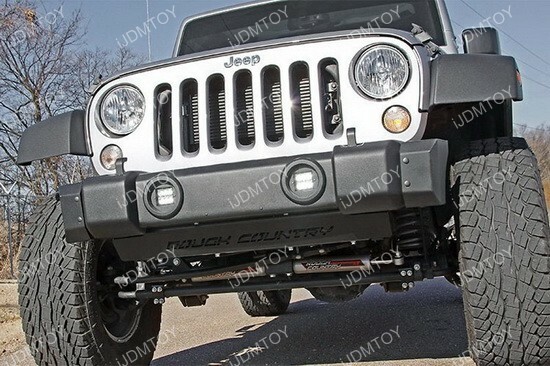 Step 1: Get some painter's tape and tape over the approximate location where you want to install these LED pod lights. Take a sharpie to mark the exact location where the new LED pod light will be situated as well as the holes that you will need to drill. 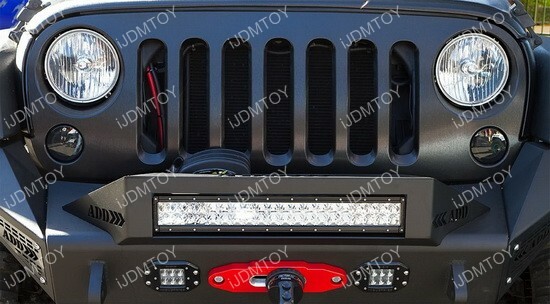 Step 2: Drill and cut into the rear bumper for the outline of the LED pod light as well as the side screw locations. 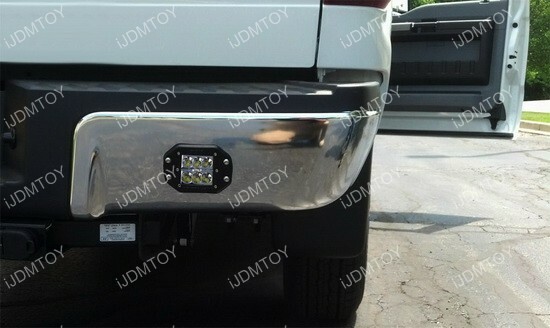 Step 3: Directly insert the new LED pod light into the location. Tap the wires to the existing reverse lamp positive and negative. 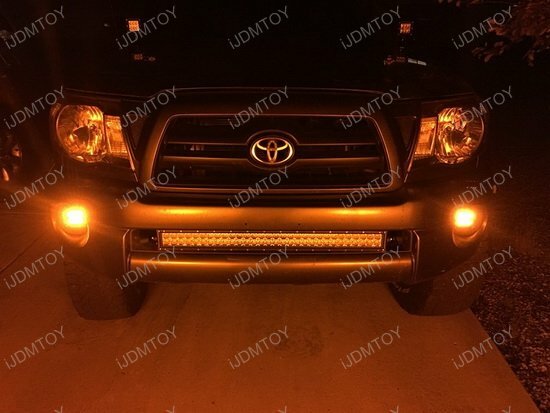 Test to make sure everything works and then screw in the LED pod light to permanently secure it onto the rear bumper. 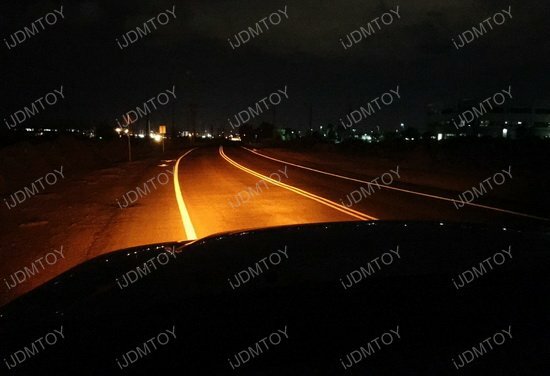 Enjoy your new LED pod lights. 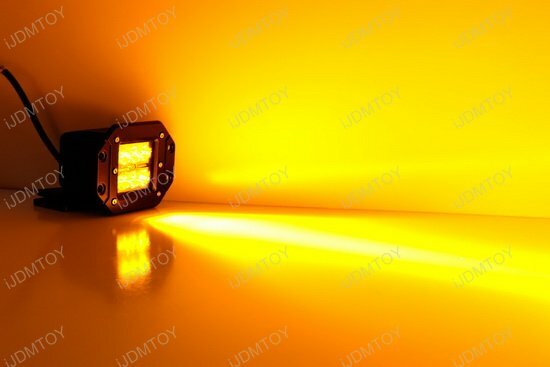 Q: What are the dimension of these LED pod lights? 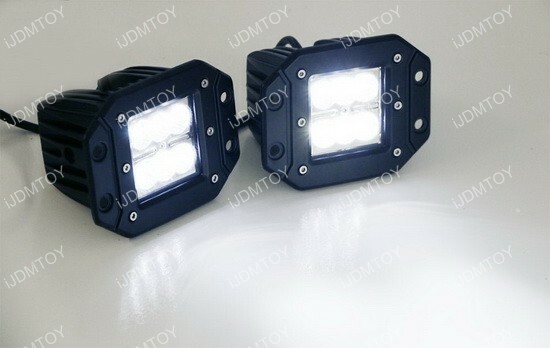 A: These LED pod lights measure at 4.8" wide, 3.62" high, 3.12" deep. Q: I'm having trouble screwing the bolts into the LED pod lights. How do I get the bolts to thread through? 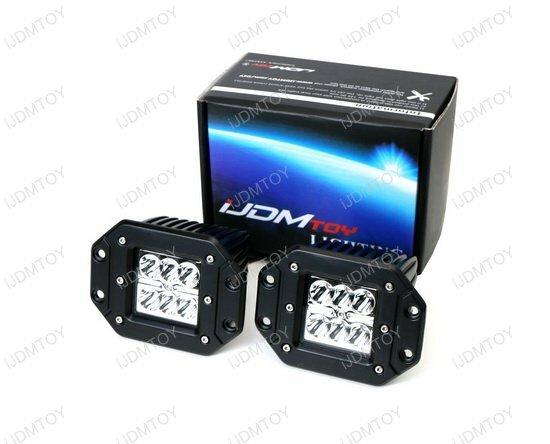 This is a pair (2 pieces) of iJDMTOY's Dually Flush Mount 24W high power CREE LED pod lights, perfect for trucks, jeeps, off-roads, ATVs as driving/fog lights in front or backup reverse lights on the back. 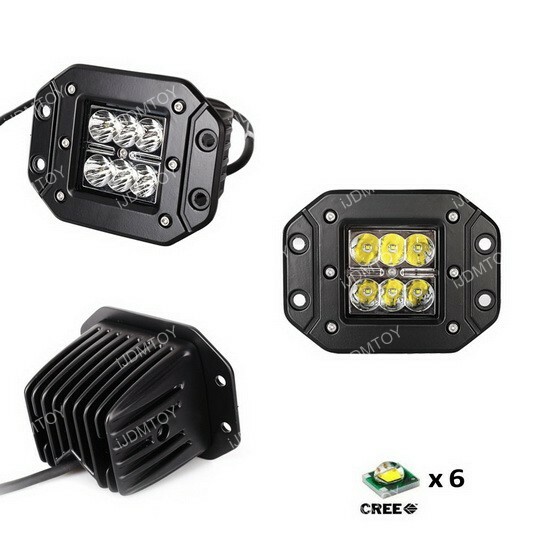 This 24W high power CREE LED light comes with a flush mount plate, which allow you to easily mount this LED pod light virtually to any flat surface. 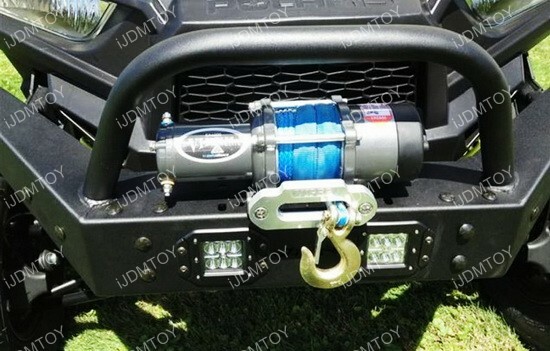 Besides, there's also conventional bracket included, so you can also mount it using bracket from the above. 5 of 5 Total Reviews: 12 Write a review. 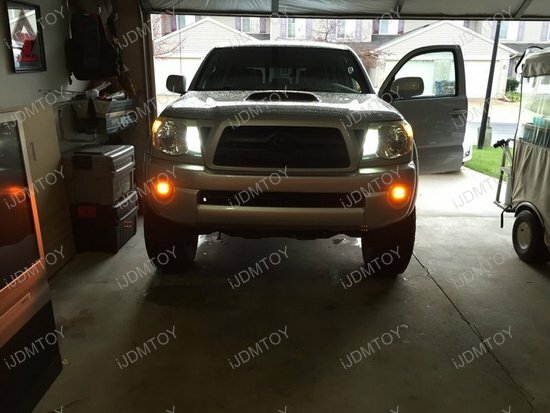 I love these flush mount LED pod lights. 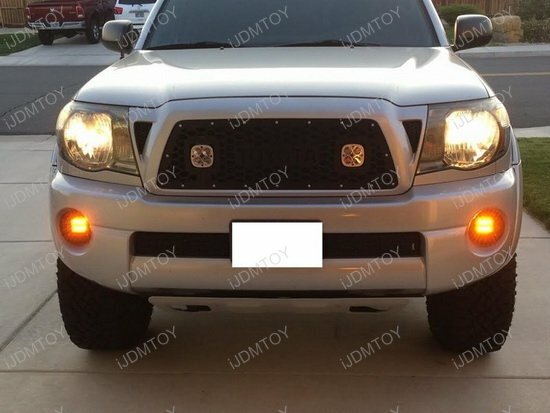 I have amber yellow in front, white back up lights and. 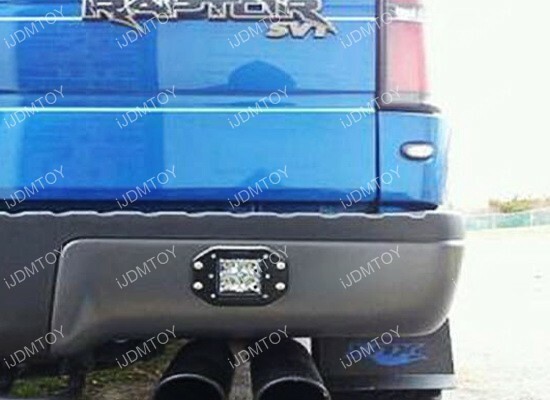 Just put some red tail lights on. 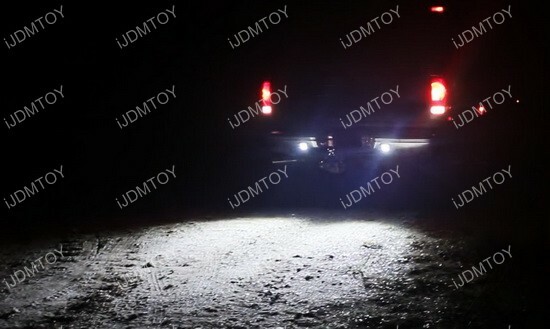 These CREE LED pod lights are well worth the money. 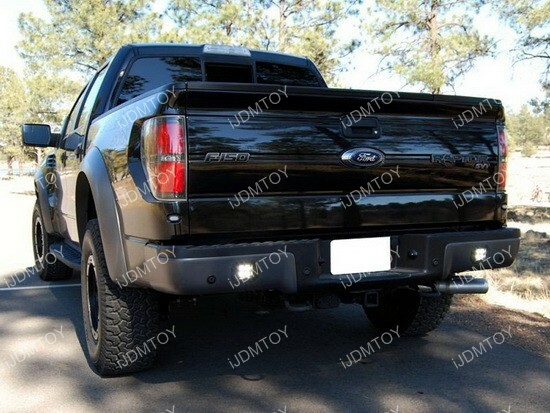 I use these for my reverse lights and my window tint is at .1 and I can still see behind me. Fits my truck like a glove. 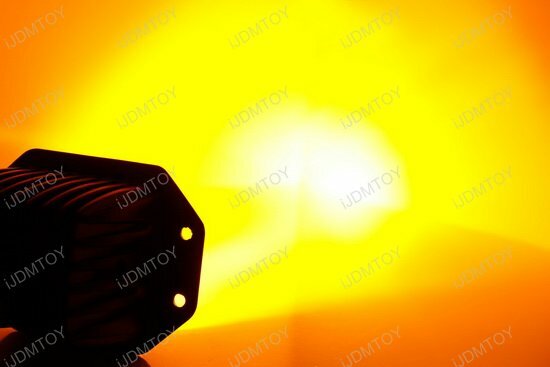 great quality LED pod lights. 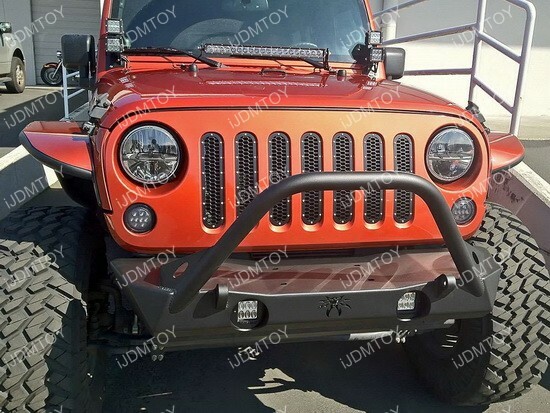 Fast shipping, easy install, flush fit, looks great in amber yellow. Would definitely buy again!